Mercedes-Benz of The Woodlands is a proud recipient of the Best of the Best Dealer Recognition Award from Mercedes-Benz. Awarded to the top 15% of dealers in the Mercedes-Benz retail network, this award recognizes superior customer service and management in the Mercedes-Benz community. Our award-winning new inventory, auto service, and parts selection set us apart from other dealers in and around The Woodlands, and is exactly why we’ve triumphed in our first years of business. From our sales department to our auto care center, Mercedes-Benz of The Woodlands continues to provide customer-focused service – as demonstrated by our three Best of the Best recognitions. At Mercedes-Benz of The Woodlands, we hold with the Mercedes-Benz slogan: “the best or nothing”. We embody the essence of Mercedes-Benz by employing entrepreneurial and business prowess to deliver excellent customer service at every turn. All facets of our dealership operate with The Woodlands -area customers in mind. To us, a dealership is only as successful as its customers are satisfied. Be it new vehicle sales, auto service, or parts transactions, we treat each exchange as a reflection of the Mercedes-Benz brand. Partner with an Award-Winning Dealer! Let us show you why we’re ranked among the top Mercedes-Benz dealers in the country! Dealer of the Year awards are given annually to the top U.S. and Canadian car dealers based on a Bayesian algorithm called PowerScore™, which considers the dealership’s average DealerRater star-rating as well as the total number of reviews written about the dealership during the 2016 calendar year. Categories for scoring include customer service, quality of work, friendliness, pricing and overall experience. DealerRater’s annual recognition program for top car dealerships in the U.S. and Canada. Only 3 Mercedes-Benz dealerships in the State of Texas were honored with this award. For The Community, By The Community – the people have spoken and for the 3rd year in a row Mercedes-Benz of The Woodlands has been voted at the 1st Place winner for the Best Car Dealership in The Woodlands! We are grateful to the community and will continue our motto to change the face of car dealerships… we are a Luxury Retailer and you will be take care of in an exceptional manner! 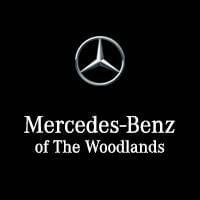 Mercedes-Benz of The Woodlands Wins the Mercedes-Benz Best of the Best Award for 2016, 2017 and 2018!